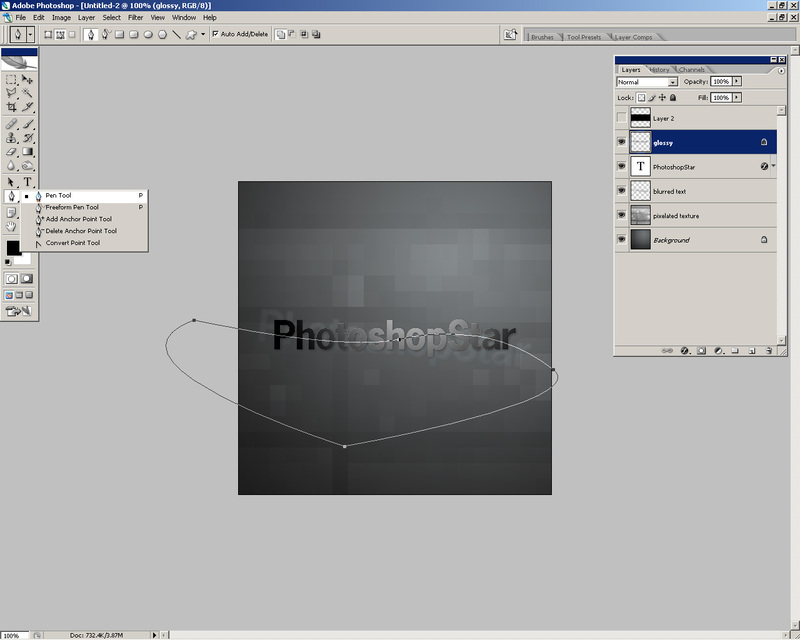 Let’s start by creating a new document in Photoshop. After creating a new document around 500 x 500 pixels in size, add in a nice radial gradient background. Colors I used for my gradient background were: #717577 and #191918. Now, you can either continue on and make your text, or you can finish off the background by adding in another effect. I added another interesting effect to the background by adding a texture to the background, then applying Filter > Pixelate > Mosaic to the texture. Moving on to the adding text part! Now it’s time to add some text to your canvas. First, find and get out the Horizontal Type Tool, then drag a selection inside of your canvas. Connect the two sides of your text selection to the sides of your canvas, so the text can be perfectly centered. Write out your text. In the above image, I’ve used a font called News Gothic Std, which sadly is not a free font. Feel free to try different fonts though, a good alternative is Arial, which comes with Windows. Next we’ll add some effects/styles to the text to make it look more interested. Not too bad, huh? 😀 At this stage we’re pretty much finished, but I took it a tiny bit further and added a few extra things. 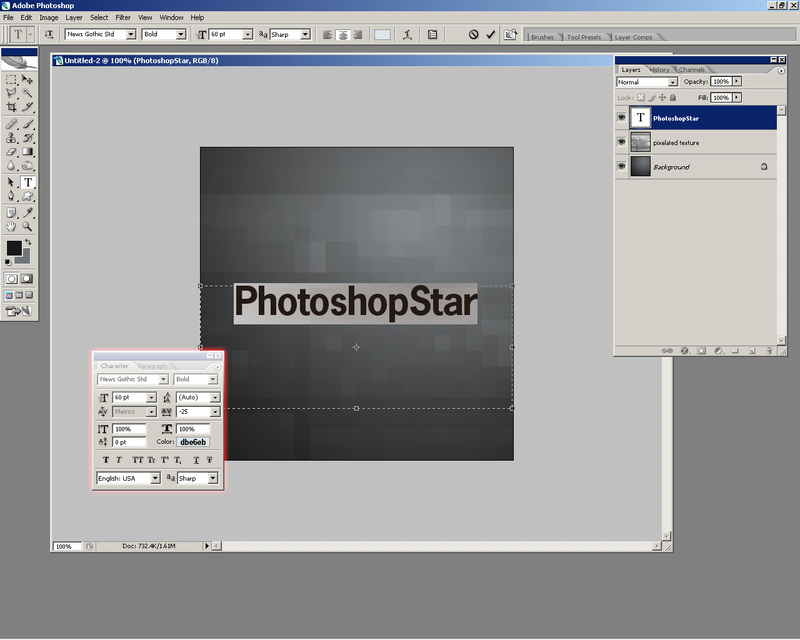 After rotating and resizing your duplicate text slightly, create a new layer and merge the two together (duplicate layer and blank layer), after doing this, apply a slight Gaussian Blur filter (1.5). After doing all of this, change the layer mode for your blurred text layer to Overlay and lower the opacity level to around 10-30%. It may look a little lame, but meh. It’s just a random effect! I hope I’ve been explaining this sufficiently so far! After making your path using the Pen Tool, turn the path into a selection by right-clicking the path and then clicking Make Selection, now press your delete key to remove the selected part of the gradient layer. Hey, that just looks plain weird, doesn’t it? 😀 Change the layer mode for this gradient layer to Screen, and whammo, we’re done! How easy was that? Much better. Well, it looks like we’re done for this tutorial. Are you happy with the result? If not, then keep experimenting with different things!